Music for solo flutes : flute in C and alto flute / Peter Tahourdin. 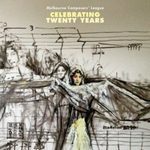 Celebrating twenty years / Melbourne Composers' League. 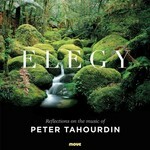 11 Mar 2017: at Elegy: Reflections on the music of Peter Tahourdin (Melba Hall). Featuring Johanna Selleck. 24 Jul 2016: at Melbourne Composers' League: Elbow Room (The Wesley Anne). 29 Aug 2009: at Peter Tahourdin Memorial Concert (Melba Hall). Featuring Jean Penny. 19 Apr 2009: at Melbourne Composers League (Trinity Uniting Church, Brighton).